Home cooking is one of those fundamental human activities that seem to transcend race and culture. Nearly everyone will have fond childhood memories of family gatherings around the dinner table, where hilarious anecdotes are told over freshly cooked food. Many cultures have proud home cooking traditions that are often converted into restaurants and you can see examples of this in Australia’s food history timeline from HelloFresh. Many restaurants market themselves as providing a ‘home cooking experience’, because they know that deep down people desire the comforting warmth of a home cooked meal. ​However, more and more people are choosing to eat out rather than stay at home and make something themselves. Whether it’s a lack of time, skill or enthusiasm, the millennial generation eats out far more often than Gen Xers or Baby Boomers ever did. People now spend large amounts of money each week eating out rather than buying groceries and cooking from home. It’s likely that you’ve experienced some mild bill-shock after seeing just how much you’ve spent on takeaway food or restaurant dinners. With that said, home cooking is far from dead and more young people are discovering the merits of preparing their own meals. Let’s take a look at 7 reasons why you should cook from home more often. One problem with eating out all the time is that you can’t always be sure of the quality of the food you’re being served. Restaurants and takeaway places are busy commercial kitchens and you can’t always guarantee the food is being served fresh to you or it’s been reheated. While our parents may have cared more about counting the calories of the food they eat, the millennial generation is far more concerned with food being served fresh without any additives or artificial ingredients. When you cook your own food you are in total control of the freshness of the ingredients and can carefully select which you use when you are out grocery shopping. When you cook at home you can decide how much food, and how much of each ingredient, you want. You decide how much meat and vegetables you feel like, and you can decide if you want to have a big meal or a small one. Restaurant chefs don’t know how hungry you are, so you can easily end up getting more or less food than you want – especially if you can’t eat some of the sides (you will frequently get high FODMAP foods like mushroom on the side, and even if you ask for your meal without them you usually won’t get a replacement). With home cooking you are in charge of the foods you make so that you cut down on wastage. Besides, even if you have leftovers, the fridge is close at hand so you can easily keep some of what you cooked for later. Everyone knows that eating out can be expensive, especially when restaurants upsell added items to your order that are too tempting to resist. How many times have you been offered to upsize your order or add a drink for a few dollars extra? People often overestimate how much it costs to go grocery shopping as buying fresh meat and vegetables is actually quite affordable if you’re smart about it. While cooking at home will require more effort on your part, you’ll be glad with how much money you’ve saved by eating out less often. Once you start getting used to cooking all your own meals, you’ll naturally want to branch out and experiment with new recipes. This is a great chance for you to become more culturally aware as you can study and reproduce delicious cultural dishes from all around the world. Each and every culture has its own signature dishes that come along with historical fables and traditions. Many cultural meals are made to celebrate or are inspired by cultural history and this gives you a chance to expand your understanding and savour the experience more. Food is often connected to the cultural identity of many people and learning more about the connections between culture and food makes you a better global citizen. The next time you find an interesting new cultural recipe, do some research and learn about its origins. 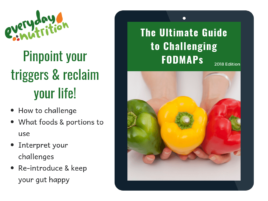 If you are on a low FODMAP diet then you will frequently have trouble finding meals at restaurants. Even when you do find something that should be ok, it will often be impossible to modify some of the ingredients (such as a mushroom sauce) so you will need to ask for some things to be left off. 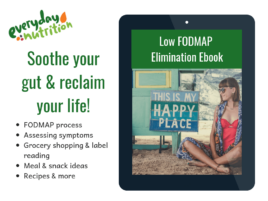 At home, on the other hand, you can make low FODMAP substitutions easily. If a recipe calls for garlic and onion it is easy to use garlic infused oil and fresh chives instead, for example. The ease of making delicious foods that you can eat is a huge benefit to cooking at home. When you make your own food you are also absolutely certain of the ingredients. If you order food from someone else they may not fully understand your dietary requirements, or their might be ingredients in the food that you don’t expect. Cooking your own food gives you the peace of mind that comes from knowing exactly what is in your meal. As mentioned, one of the biggest appeals of home cooking is the endearing family spirit that pervades the experience all the way from preparation to serving. Working together with loves ones to create a shared experience you will both love is one of the greatest ways to strengthen bonds and improve relationships. While there’s definitely a time and place for social gatherings at restaurants, they pale in comparison to the experience of sitting at a home dinner table. Restaurants can be loud and the sound of other people can be distracting, not to mention the people you are dining with might be too busy on their phones to interact with you. When you cook at home you can turn the cooking process into something that is fun or even romantic if you’re with your partner. When multiple people pitch in together to create a meal, they all enjoy it more than if they had nothing to do with it. Most importantly, cooking at home lets you enjoy the comfort and security of your home. Dining in a comfortable environment you are familiar with makes people more relaxed and more likely to engage in lively and intimate conversation. A major benefit of cooking from home is simply the fact that you’ll get to improve your cooking skills and watch people react to eating the food you made. It can be very rewarding to learn a skill, apply it and create a result that people love. Home cooking really isn’t as expensive or as daunting to get started with as people think. There are so many quick and inexpensive recipes that you can’t use the excuse that you’re too low on time and money. Ultimately, it’s extremely rewarding to eat something you made yourself and doing it will bring you savings, keep your healthy and bring you close together with loves ones.